Scans of her eye revealed a "fracture of the right socket and the explosion of the eyeball," Agence France-Presse reported. A Ryder Cup fan plans to sue the tournament over a wayward tee shot that caused an "explosion" of her eyeball after she was struck in the head while watching alongside the fairway, according to the Agence France-Presse. 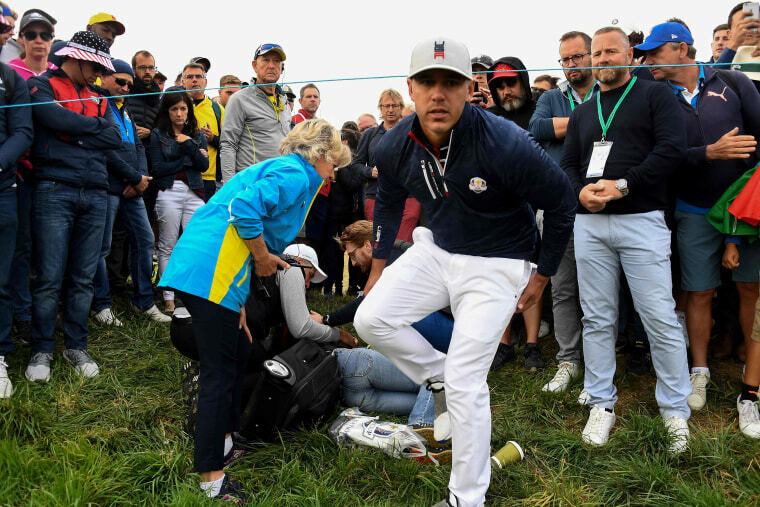 Corine Remande, 49, told AFP she was blinded in one eye after the American Brooks Koepka's tee shot struck her in the head on Friday during the competition held at Le Golf National club in Saint-Quentin-en-Yvelines, just outside Paris. Remande suffered a "fracture of the right socket and the explosion of the eyeball," which surgeons sewed back together, she told AFP. Ryder Cup said in a statement that it would "continue to offer support" to Remande, who is recovering from treatment at her parents' home in Lyon, France, but Remande said she still plans to pursue legal action. "Quite clearly, there is responsibility on the part of the organizers," she said. "More than anything I want them to take care of all the medical bills to make sure there is no risk of infection." 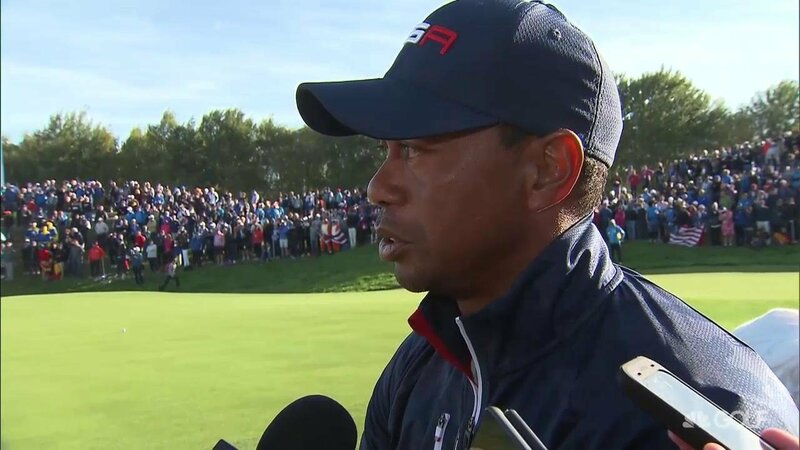 "We are hugely sympathetic and will do everything we can to support the spectator, insofar as that is possible under very difficult circumstances," Said a Ryder Cup spokesperson. Koepka, the U.S. Open champion, also apologized to Remande. Remande said that the officials should have warned spectators that a ball was incoming prior to her getting hit, but Ryder Cup said officials did shout "fore" several times, adding that it appreciates "how hard it can be to know when and where every ball is struck if you are in the crowd." "Ball strikes are an occasional hazard for spectators, but this kind of incident is extremely rare," the spokesperson added.